Rapper Mac Miller ("Swimming") at 7. September 2018 died completely by surprise at the age of 26 years. He was found lifeless in his home in Los Angeles. So far, it had not been clear what the Rapper is died, as the autopsy had provided no clear result. On Monday, the medical examiner has released in Los Angeles the results of the Toxicological investigation, the existence of "TMZ" and "People". The US portals consistently report that the report to refer to was that of 26-Year-old had died of an Overdose of cocaine, the painkiller Fentanyl and alcohol. The combination gave the rash, not the individual quantities. The cause of death had been classified as "accident". The Rapper had taken on the deadly Cocktail. Hardly had spread the news of your death, it was speculated that it could be an Overdose. 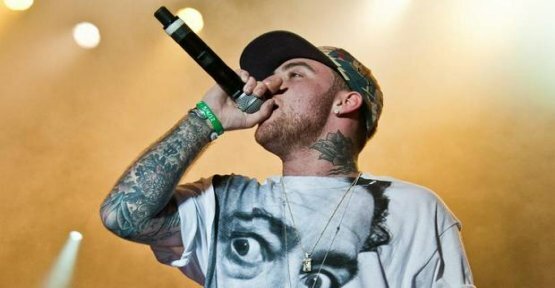 Mac Miller was treated during his lifetime, openly, with its alcohol - and drug-related problems, as well as its relapse.